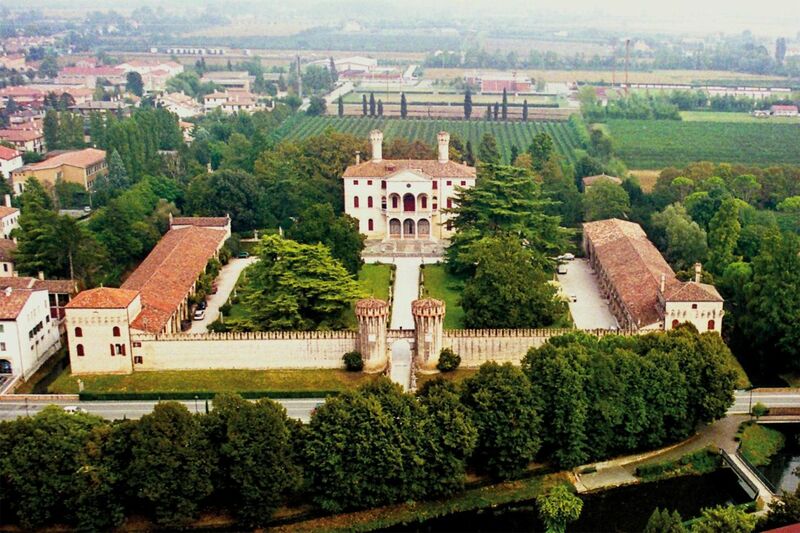 Located a few kilometers from Treviso, the Castle of Roncade is one of the most fascinating testimonies of the ancient aristocracy. 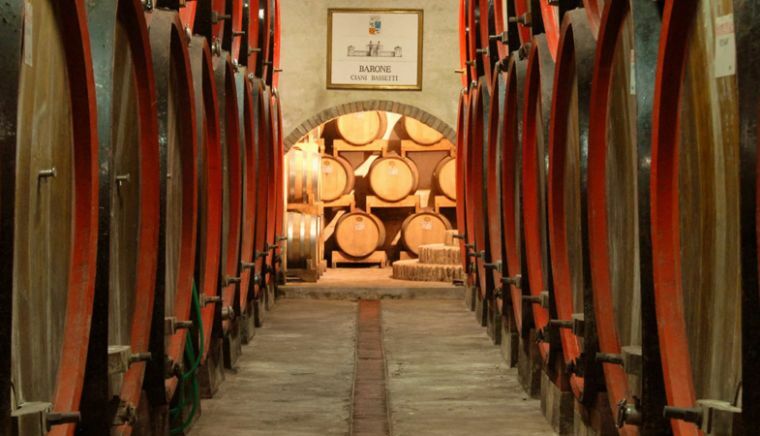 The local agricultural tradition is maintained and enhanced by the wine production of the "Cantina Castello di Roncade". 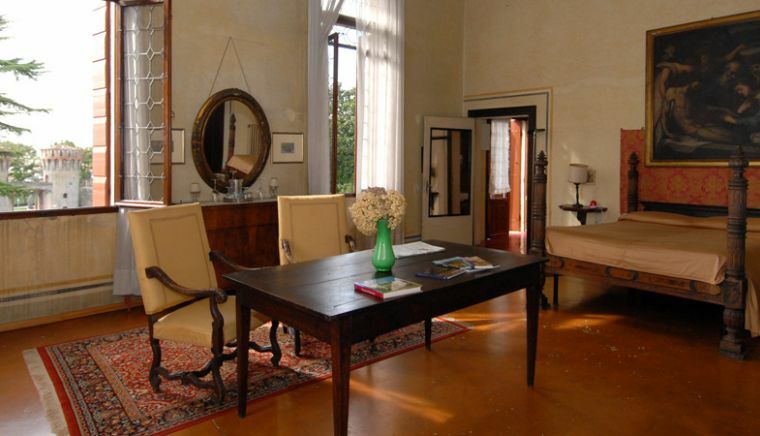 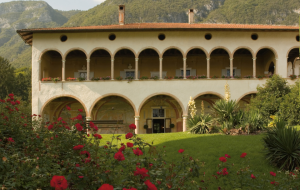 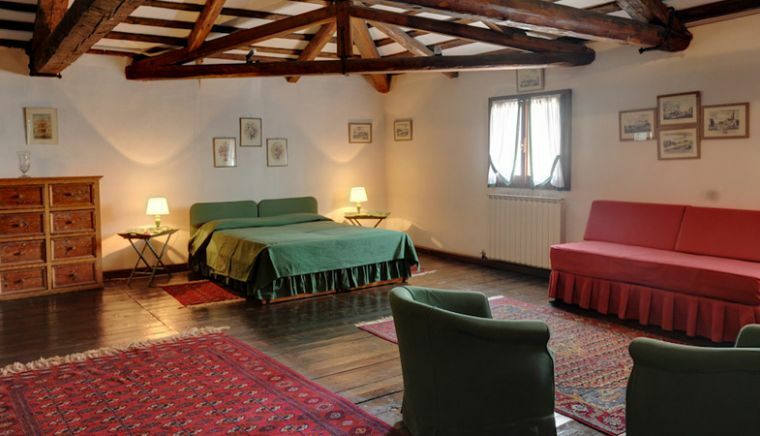 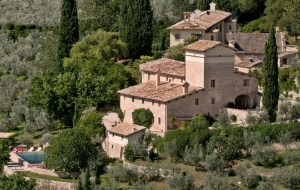 The evidence concerning this ancient dwelling date back to 900, when Ottone II donated it to the Counts of Collalto. 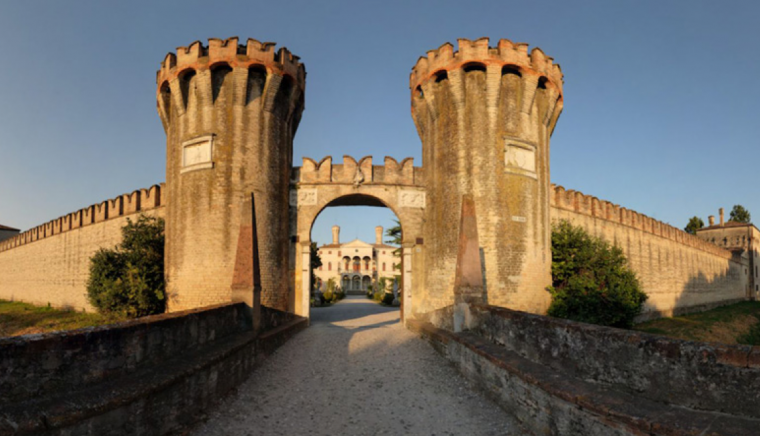 Subsequently assaulted and destroyed by Cangrande della Scala, the castle was rebuilt only in the 16th century by the Venetian patrician family Giustiniani, faithfully following the original design of the structure. 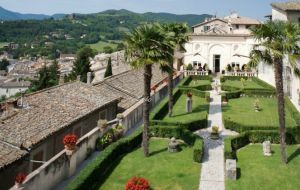 The reconstruction is still visible and is the only Venetian villa surrounded by walls dating back to the Middle Ages; these, dominated by majestic blackbirds, surround the splendid garden with both exotic and homegrown plants together with a moat. 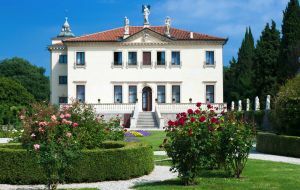 The Giustiniani family inhabited the villa for almost four centuries, donating in the meantime to the history of the Serenissima Republic of Venice numerous prominent elements, including the Doges Marco Antonio and Stefano. 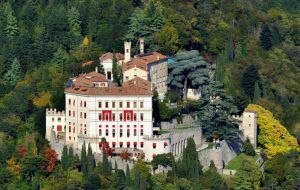 When the Giustiniani's Venetian branch was extinguished, the castle was ceded to relatives, who however abandoned it to the erosion of time. 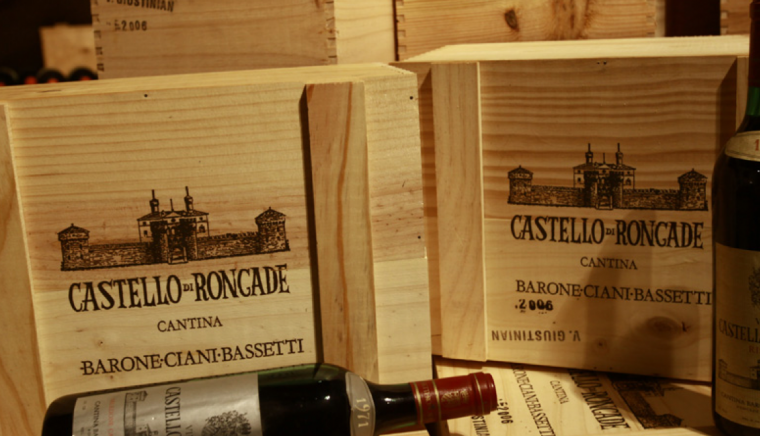 Finally in 1930 the baron Tito Ciani Bassetti, combining his love for medieval history and winemaking, started the restoration of the castle bringing it back to the beauty of the past. 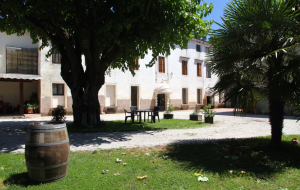 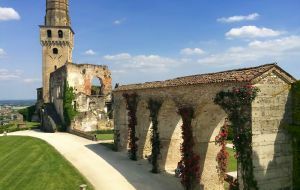 The same passion has perpetuated itself in the successive generations of the family up to the present day, with the castle which became the seat of the homonymous cellar. 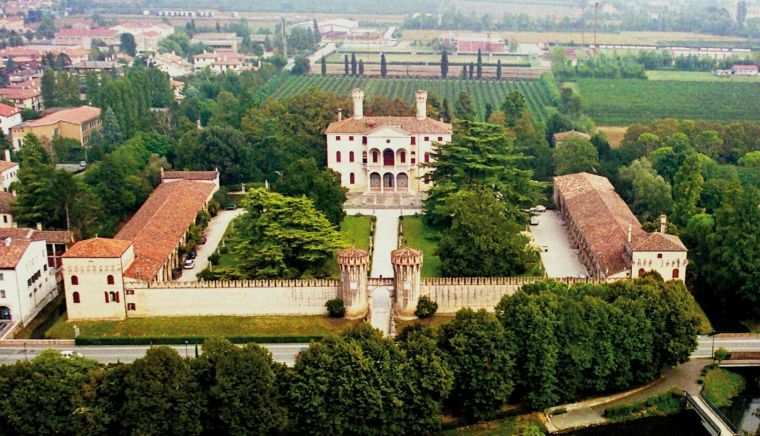 In fact, even today as in the times of Venetian Doges, the image of the Castle is linked to the property that surrounds it: the lands particularly devoted to viticulture together with the passion of the "Cantina Castello di Roncade" with its production of quality wines keep it alive the princely origins of the complex. 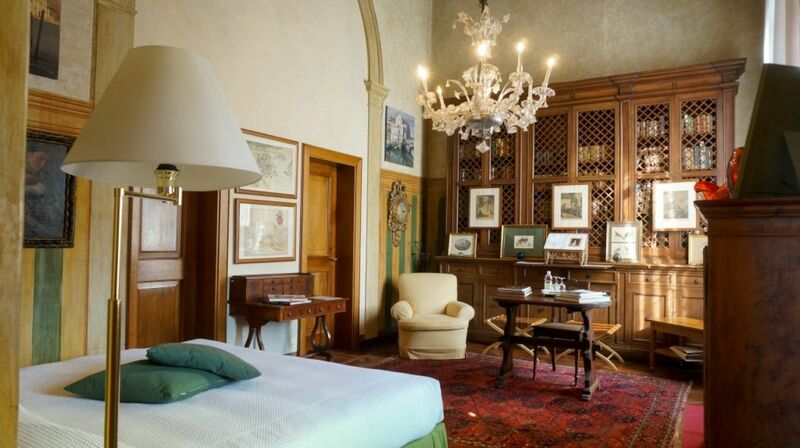 The rooms of the Castle, richly decorated with stuccoes and eighteenth-century furniture, are ideal locations for business meetings and meetings, but it is especially for events and wedding ceremonies that the external portico, the two living rooms above and the large hall of the villa fully their power of suggestion. 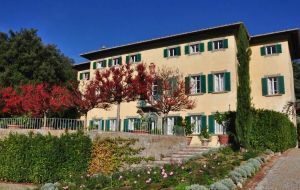 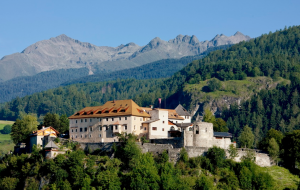 The company also offers its guests the possibility of staying overnight with a bed and breakfast formula, thanks to the four lodgings created inside the two towers of the castle, destined to a quality tourism lover of local culture.